Looking for a great value driving instructor in Ashford, Folkestone or Hythe Kent? NOTE: For your convenience you can choose to pay either online, or in the car before your lessons if you prefer, except for the Intensive Courses and the Gift Certificates which can only be purchased online. Please note: our Terms & Conditions will apply in all our dealings and services offered to all our pupils, please ensure you read them. Please note: all driving lessons are offered in manual cars and will be 2 hours long. For those of you who need to get your driving licence quickly or if you are in a hurry to experience the open road, why not try a fast pass course from WB Driving School? 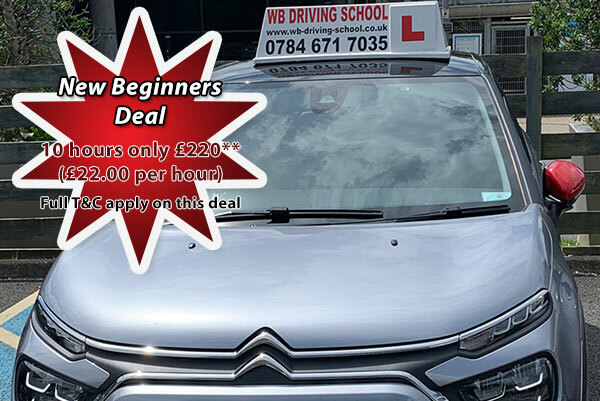 Our intensive courses can be tailored to meet your individual needs, whether you are starting your driving lessons from scratch, or need to brush up your skills before sitting your driving test, we can adapt our courses to suit you.